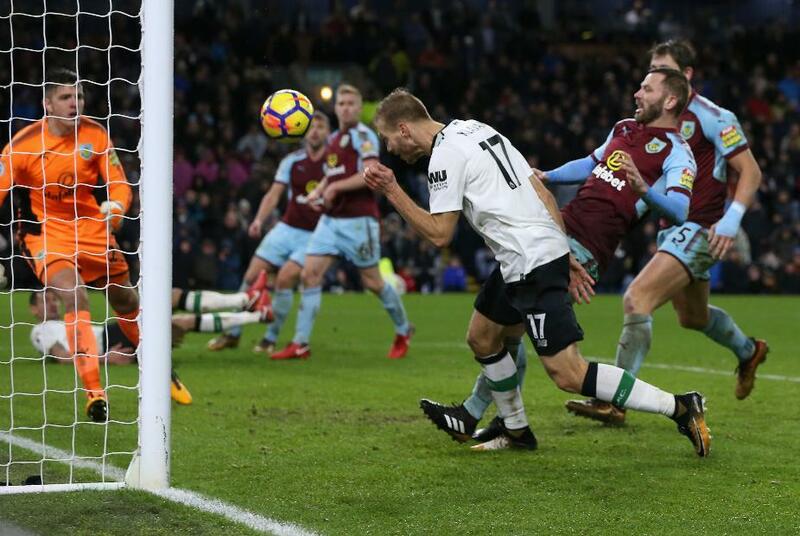 Ragnar Klavan scored in the fourth minute of stoppage time to give Liverpool a 2-1 victory over Burnley. The Clarets thought they had rescued a point when they equalised on 87 minutes, but Klavan met Dejan Lovren's header in the final moments. Sadio Mane had given Liverpool the lead on 61 minutes when he collected Trent Alexander-Arnold's cross and superbly drilled past Nick Pope. But the Reds, who were without the injured Mohamed Salah and Philippe Coutinho, won it when Lovren's header from Alex Oxlade-Chamberlain's free-kick was turned in by Klavan. Liverpool are now 13 matches unbeaten, while seventh-placed Burnley have not won in five.